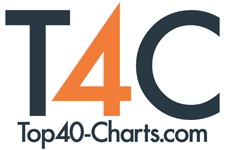 New York, NY (Top40 Charts) Maroon 5 today tweeted that the rumors are true! Their track, Girls Like You, will be released tomorrow as a collaboration with rapper Cardi B. The track originally appeared on Maroon 5's latest album, RED BLUE PILLS. (Check out the announcement below). Maroon 5 stand out as not only one of pop music's most enduring artists, but also one of the 21st century's biggest acts. To date, the universally renowned Los Angeles band have achieved three GRAMMY® Awards and become "the most successful group in the history of the Billboard Hot 100" with 12 Top 10 entries, sold over 20 million albums and 48 million singles worldwide. The band has additionally earned gold and platinum certifications in more than 35 countries. Maroon 5 won over fans and critics alike with the hybrid rock/R&B sound they introduced on their debut album, Songs About Jane and their double platinum album, It Won't be Soon Before Long. In 2010, the band released their third studio album, Hands All Over, which featured the hit singles "Misery" and the anthemic "Moves Like Jagger," which has become one of the best-selling singles of all time. In 2012, Maroon 5 released Overexposed, which quickly reinforced the group's status as a powerhouse in popular music with all of the collection's singles rising to the top of the charts. The band quickly also set a record for the most #1's (six in total) by a group in the Top 40 chart's 20-year history. Maroon 5's most recent studio album, V, debuted at #1 on Billboard's Top 200 chart and featured the hit singles "Maps," "Animals" and "Sugar," all of which went #1 on the Top 40 chart. The music video for the album's GRAMMY- nominated single "Sugar" has notably logged a record setting 2+ billion views to date. 2017 saw the musicians release two additional chart-topping singles, "Don't Wanna Know" and "Cold," as well as close out a massive world tour that touched down in 30-plus countries for 120 concerts in front of more than 2.5 million fans. On this tour, Maroon 5 also became the first American artist to headline two nights at "Rock in Rio" in September 2017. Cardi B recently won two iHeart Radio Music Awards for "Best New Artist" and "Best New Hip Hop Artist" following a knockout performance to open the show. She is currently featured on the April cover of Cosmopolitan after several recent cover appearances which include Rolling Stone, The New York Times Magazine, i-D Magazine, and CR Fashion Book to name a few. Cardi B made history last year with the release of her breakout hit "Bodak Yellow." The now 5x platinum smash hit spent three historic weeks at #1 on Billboard's Hot 100 - the first solo #1 by a female hip-hop artist in nearly two decades. Furthering her success, Cardi B's most recent single, "Bartier Cardi (ft. 21 Savage)" is now certified gold. Cardi B followed "Bodak Yellow" with two massive hit singles, G-Eazy's "No Limit (Ft. A$AP Rocky and Cardi B)" and "MotorSport" by Migos, Nicki Minaj, Cardi B, both of which reached the top 10 on Billboard's "Hot 100" and were swiftly rejoined by "Bodak Yellow" to make history as the first female rapper to land her first three entries in the chart's top 10 as well as the first female artist to achieve the same on the "Hot R&B/Hip-Hop Songs" chart." As if that were not enough, with the release of "Bartier Cardi" and Bruno Mars's "Finesse (Remix) [Feat. Cardi B]," which is now certified 2x platinum, Cardi B made history yet again, surpassing Beyoncé as the first woman to have five top 10 singles simultaneously on the "Hot R&B/Hip-Hop Songs" chart.